Is this new Red Dot Sight any good? 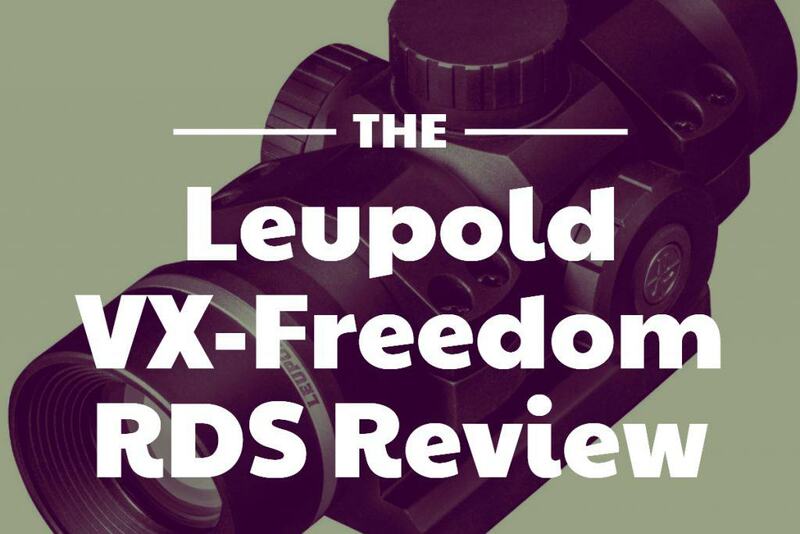 Leupold introduced a new red dot sight, the VX-Freedom RDS (Red Dot Sight). It’s a compact red dot sight that’s bound to become one of the more popular choices available today. It’s a lightweight and compact red dot sight in a tubular design. It’s easy to install and ruggedly built. Another important factor is that Leupold produces the sight in the US. It’s built at their Beaverton, Oregon factory. The VX-Freedom RDS packs everything you need and require of a red dot. It’s built tough and is designed to perform in even the most extreme conditions. All that at a price point that won’t break the bank. The sight is available in two different versions. First, you can have it with ¼ MOA click adjustments with a capped turret. The adjustment range for both elevation and windage is 80 MOA for this model. The second version comes equipped with a BDC elevation adjustment turret that is calibrated for a 55 grain .223 ammo out to 500 yards. The adjustment range for this model is the same as for the MOA click variant allowing you to dial up for long shots with ease. How is the VX-Freedom RDS built? The main tube of the VX-Freedom RDS measures 34 mm in diameter. It is about 5.5 inches in length and weighs just a little under seven ounces. 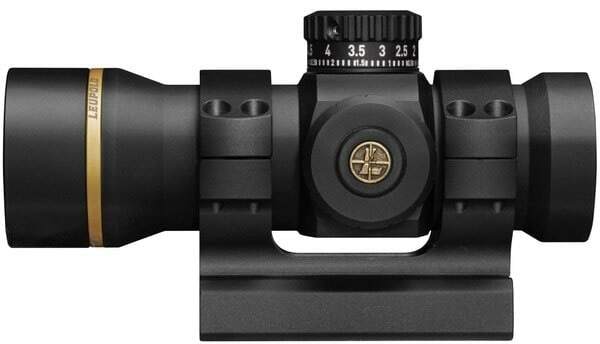 Leupold added a mount to the RDS which brings the sight to an optimal height if you use it on a rifle that’s based on the AR-platform. The mount can be removed, and you can use standard 34mm rings to mount it on other rifles. Both versions of the RDS feature a 1 MOA dot reticle. To save battery, Leupold added their own Motion Sensor Technology (MST). This places the sight into standby after five minutes of inactivity. This prolongs battery life while instantly activating the sight when the MST detects motion. You can shut off the sight completely through a manual shutoff feature. The lenses are scratch-resistant. They feature Leupold’s own Twilight Red Dot System. This system offers premium lens clarity and delivers standard color consistency. Additionally, the RDS is both waterproof and fog proof. The sight is designed for both the hunters and recreational shooters. It’s built for rugged use in the field. 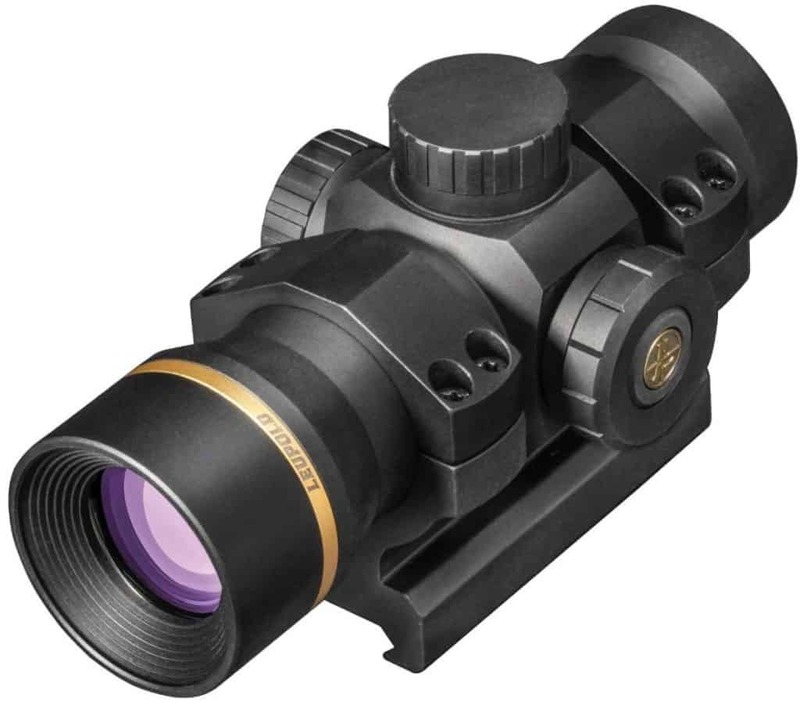 It’s set up to withstand heavy recoil and is backed by Leupold’s full lifetime guarantee. Will the sight make our list of best red dots? Time will tell. It’s an overall great sight at a very good price but it’s a busy market with a lot of good options available.